Home VgamerZ OpinionZ Why is Final Fantasy XIV so good? Why is Final Fantasy XIV so good? 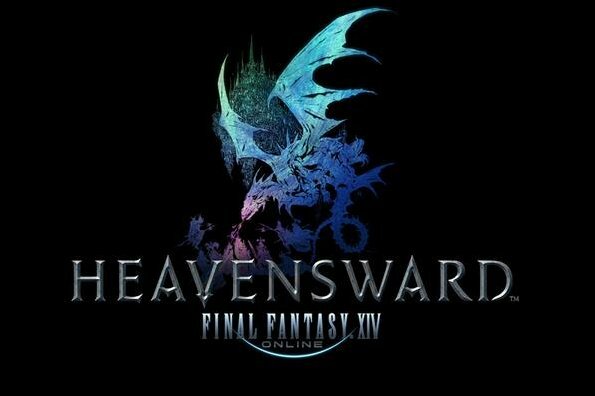 With the extremely successful launch of its first expansion, Heavensward, in the rear view mirror, Final Fantasy 14 has become one of the fastest growing MMO subscriber bases in the current era of MMO’s today. Square Enix proudly announced that they have surpassed two million active subscriptions and are likely well on their way to three, an impressive accomplishment considering the relatively short length of time that the game has been active in comparison with the powerhouse that is World of Warcraft and other competitors. The most impressive feat that this game has accomplished, however, is maintaining these subscriptions as well as growing in popularity considering the complete overhaul of the game’s systems and content making it the great game that is is today. Disclaimer: This is less of a review and more of my fanboy gushing about how much I love this game. It is also a list of reasons why you should play it too. Final Fantasy XIV: A Realm Reborn was, at one time, simply named Final Fantasy XIV Online. After the huge success of its predecessor, Final Fantasy XI, began to recede, Square Enix made the decision to boot up another MMO in an attempt to revitalize their player base (with some focus on their pocket books as well). The games, ironically, were actually very similar. The five races in XI are nearly identical to the races in XIV with only a few aesthetic differences and, for the races which were gender specific (the cat-like Mithra who could be only female and the gorilla-esque Galka who could be only male) there are male/female options for their counterparts. Additionally, the base classes and their advanced jobs are all nods to previous games in the Final Fantasy franchise likely to appeal to long-term fans of the series. The game was clearly aimed at returning players more than new players, and that is even clearer when interacting with the community, as the majority of XIV players came from XI after it started to fall apart. The original iteration of FFXIV disappointed players with weak color schemes, poor area and class designs, and a clunky, menu-heavy user interface. The game failed so hard in its onset that Square Enix issued a formal apology and made the game free to play for all of their loyal subscribers until they fixed the issues. They scrapped the entire development team and brought in Naoki Yoshida and his team to save the day. So the question now posed is: How is this game so successful after being so very bad to begin with? Final Fantasy XIV follows the typical quest/sidequest model just like almost every other MMO ever, but what they do absolutely right is lace the questing into a Main Story Questline that follows the current events of the realm. The story begins after the great Calamity wrought by the primal Bahamut. In the opening cinematic illustration, the beast breaks free of his bonds and completely obliterates everything in his path. However, the brave Warriors of Light are whisked away to safety only to return shortly thereafter to an Eorzea filled with sunny happiness and butterflies. This event is the reason the game’s lore can explain why everything looks different, but it also keeps up with the main theme so that the transition for new players is perfectly seamless. Through a number of patches, the story has received add-ons that continued the main quest line, brought in a number of new characters to interact with, and set forth events that impacted the world in a wonderfully immersive fashion. The story has twists and turns, espionage and betrayal, and epic cinematic, voice-acted cutscenes that will drop your jaw while you sit at your computer or television screen as if you were watching a feature film. The writing is top-notch and the voice acting is very well done, making each character unique and bumping the story to another level. The gameplay is very well balanced for the typical action bar/hotkey type of MMO playstyle. Each of the classes can hold its own in its respective class, whether you’re playing a tank, healer, or damage dealer. The dev team is constantly studying and tweaking each job to make sure that the player has the ability to choose which style they would like to play instead of simply choosing the class based on its pure damage per second output because that is what the raid leader demands. The expansion only amplified this attention to detail with the addition of five new abilities per job that compliment (and sometimes changed) each playstyle, as well as the creation of three entirely new jobs to fit into each of the roles, a greatsword wielding Dark Knight tank, a trigger happy Machinist damage dealer, and a tarot card flipping Astrologian healer. While there are some jobs that perform better than others in certain situations, there is no need for players to be forced into playing something they don’t like just to clear content. Additionally, there are certain rewards and bonuses in place for veteran players to play older content so that new players are not stranded when they start fresh. The best part is that these players do not have to seek out the content, instead a roulette-style party finder groups players together and rewards each group member after successful completion of the task. This keeps older content relevant and, since the rewards benefit the endgame players with endgame currency and items, everyone wins. Also, while I tend to shy away from crafting, the crafting system in this game is second to none. While most crafting in many MMO’s involves simply clicking two or more materials to create something new. In FFXIV, each crafter has a list of abilities that can be utilized to buff the chance to get a high quality item or the speed with which the item is crafted. There really is no other crafting system like it, and one would be hard-pressed to find an equal. As with many MMOs, a subscription model that keeps money flowing to the development team will typically motivate them, and provide them with the resources, to produce more content. I have played a few MMOs, with FFXI, Star Wars: The Old Republic, and World of Warcraft listed at the top of my resume, but the flow of content in XIV feels different than all of the others. This could be because I am partial to story, and XIV’s content patches normally include a continuation of storyline to go along with their hotfixes, changes, and new dungeons to tackle, but each patch just feels more complete and cared-for. The game is paced so well that it gives players enough time to finish certain content and become familiar enough with it just before it becomes boring, and then they throw more at you to freshen things up a bit. Before you realize it, you’re geared to the teeth and it’s time for the next expansion. There is just so much love and care that you can feel coming from this game because the team listens to the player base and gives us what we need, not what we want, in addition to what we didn’t know we needed in the first place. The Heavensward expansion only served to revitalize the few players who began to feel burned out as the content started drying up. It brought back the huge wave of veteran players who were ready for new challenges, and offered a ton of content to interest brand new players as well. I have grouped with new players more in the last two weeks than I did in the past six months in the A Realm Reborn content, and that is just fantastic. I love when a game that I am passionate about gains continued success, and if I’m this excited only a week and a half post-release, just imagine what is in store for us in the future.